“Civilized values”. Between quotation marks. Mary Beard’s use of this expression in a now infamous tweet about the Oxfam Haiti scandal has led to a torrent of criticisms, which have been best articulated in a response by her Cambridge colleague Priyamvada Gopal. Whether historians like it or not, the thing is, just like the “history is a plant” model, “civilization” – especially when paired with “ancient”, “Greek”, “Roman”, and “Western” – remains an enrollment-bait in education settings. I’ve already written about the use of this term in Ontario’s high school curriculum. The same trend persists in numerous post-secondary institutions, notably in ancient history. How many Antiquity-related undergraduate programs still offer courses whose titles contain the word “civilization”? How many use it in their program description? And how many recent textbooks still include it in their title? Beard’s use of the word “civilized” – a very loaded one – is all the more puzzling that she is, precisely, a historian and a teacher (one whose BBC documentaries I have on more than one occasion gladly showcased in my classrooms). Or is it that puzzling? While the colonial undertone of this word is unmistakable for many – including Beard herself, as her use of quotation marks implies -, its appeal to wider audiences is far from dying. For “civilization”, whether singular or plural, western or clashing, sells, both within and beyond classrooms. 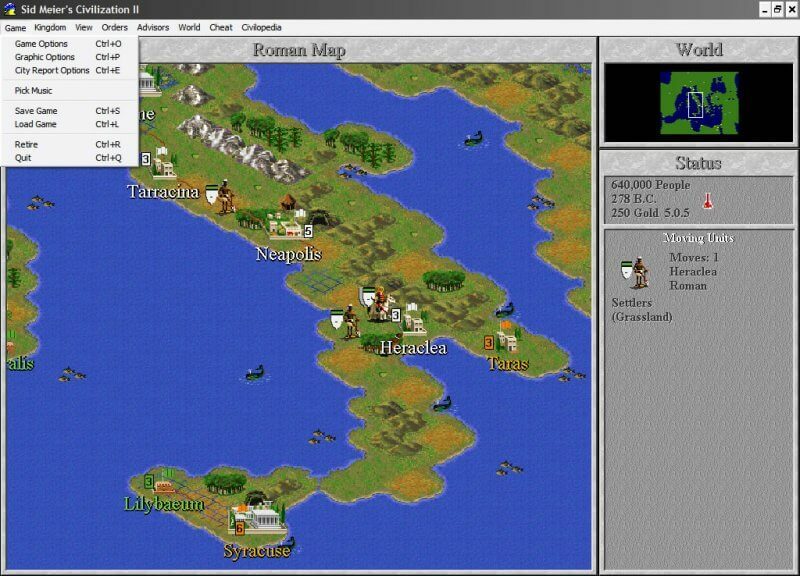 How many of us have played the 1991 computer and video game (Sid Meier’s) Civilization, which is now in its sixth version? Three years before the release of Civilization, a brand new museum was inaugurated in my native Québec city. The museum was designed by the famous Canadian architect Moshe Safdie (who also conceived, among many other buildings, Montréal’s Habitat 67, as well as Jerusalem’s Yad Vashem Holocaust Memorial). Québec’s museum includes two monumental staircases overlooking the Fleuve Saint-Laurent (aka Saint Lawrence river), and is both symbolically and literally embedded in the old part of the city (previous buildings Banque de Paris and Maison Estèbe were integrated in the museum’s structure), which was once the capital of Nouvelle-France. Its name? The Musée de la Civilisation, which translates literally as Museum of the civilization. A similar “civilization” museum also existed at the national, Canadian level. Indeed, from 1986 to 2012, the year Stephen Harper’s government decided to give it the more nationalist-oriented name of Museum of Canadian History, Gatineau-Ottawa’s main museum was called the Canadian Museum of Civilization (singular too). Closer to us, on March 1st, 2018, the BBC will air a new version of a landmark art series called, guess what? Civilization! The original series, which aired in 1969, drew criticisms for its Eurocentric content. Civilization, its detractors then claimed, was the prerogative of “the West”, a blanket term conveniently used to refer to formally colonial powers and European settler countries in North America and Oceania. This time around, the BBC has teamed up with the American public broadcaster PBS. 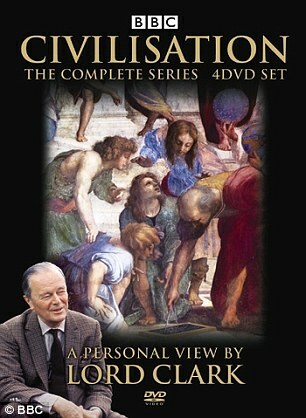 The series’ title has been pluralized (Civilizations instead of Civilization), and in place of Lord Kenneth Clarke, the original host, we will be guided by a more diversified trio, who will cover a broader chronological and geographical spectrum (6 continents) of human history: Simon Shama, David Olugosa, and…wait for it…Mary Beard! It has been a really exciting (and, I confess, humbling) experience to work as part of the Civilisations team. I hope that people will be dazzled by the wonderful works of art we have been able to show; but even more I hope that the programmes will prompt all kinds of discussions and debates about what we now think ‘civilisation’ is… and our stake in the very idea of it. So what’s “our” stake in the very idea of it, exactly? When a word bugs me, I generally tend to look at its etymology and history. Which language does it originally come from? When, and in what context did it appear? Let’s see what the etymologies of “civilized” and “civilization” tell us. For words we use are a bit like people we have relationships with: They all come with some baggage. First things first, while both terms are based on the Latin civilis (“civil”), from the noun civis (“citizen”), neither of them existed in Antiquity. They are, in fact, creations of 16th-to-18th-century France. Sans blague! The earliest attestation of “civilisé” is found in the commentary portion of Loys Le Roy’s 1568 French translation of Aristotle’s The Politics. Loys Le Roy (1510-1577), who also went by the fancy Latin name Ludovicus Regius, was a historian, translator, and philosopher who, from 1572 on, was also Professor of ancient Greek at the Collège Royal in Paris (the ancestor of today’s prestigious Collège de France). Similarly there is a great difference between lives. Uncivilized men, it seems, had an unfortunate tendency to suffer from lethal diarrhea. This no doubt is a retrojection into the past of digestive hurdles experienced by “civilized” contemporaries of Le Roy forced out of their “civilized” diet habits (because of war, colonial settlements, or other circumstances). Reminds me of people who complain that eating legumes makes them fart too much: The main issue is not eating legumes per se, but the fact that their digestive system is not used to eating them regularly. Le Roy goes on to explain how the “first and most practical nourishment” is grain, all varieties of which can be transformed into flour, then turned into bread. Follows a lengthy enumeration of food: Legumes, “salt and herbs, to give taste and flavour, butters and oils”, vegetables, fruits; meat (first that of human “themselves” , i.e. cannibalism, which was eventually abandoned “out of horror” for cooked animal flesh); and fermented drinks (wine, cider, beer, etc.). The passage concludes with the following statement: Here is what regards the way of life in use in here, and more common between civilized men, given what it says about the difference from others. The “civilized” men, thus, live in “temperate” climates. Such places are by nature suited for the practice of agricultural activities that are conducive to sedentary-based food production activities, and thereby to large settlements, from villages to cities. These are to be contrasted with more extreme climatic zones, where food is picked or hunted in the wild, and eaten raw or uncooked. Le Roy’s embrace of Hippocrates’ environmental determinism exemplifies the wide impact the theory of climate had on both ancient (Hippocrates, but also Aristotle) and modern intellectuals, all of whom resorted to it as a legitimization of the “Greek”, then “European” rights to hegemonic power. For, quite conveniently for all these men, the most temperate regions on earth just happened to be located where they, themselves, lived (“France“, says Le Roy, as well as “Italy, Greece and Anatolia [i.e. Asia Minor]”). By contrast, “the extremities of the world, excessive in cold and heat” were deprived by the very nature of their climatic and environmental predicament, of any indigenously-born possibility of civilization. Le Roy lived at a time when European empires were expanding. When his translation of Aristotle’s The Politics came out, Spain and Portugal had been the centres of large empires for a while now, and France was actively trying to get its share of the cake. The year before, it had lost its colony of “France Antarctique” (1555-1567), which was located in today’s Rio de Janeiro, to the Portuguese. This loss had taken place two years after the Spanish destroyed their Florida-based settlement of Fort Caroline (1564-1565). Seen in this broader geopolitical context, Le Roy’s interest for Aristotle’s The Politics, and his embrace of the theory of the climate, can be seen as a form of scholarly support to French imperial rule over the “wild” territories and “savage” peoples that lived beyond Europe, notably the “Americas”. The same goes for the later thinkers we are about to discuss. But before doing so, a little bit of law-inspired semantics is in order. In the late 16th century, the verb “civiliser” (“to civilize”) and its derivatives appear in legal contexts, to designate a trial that is brought in front of a civil court (by opposition to a criminal one). Similarly, the neologism “civilization” is a legal creation. The word is documented for the first time in 18th-century French jurisprudence texts, to designate an “act of justice, a judgment that makes a criminal trial a civil one”. This meaning doesn’t stick for good though, for it appears to be outmoded by the end of the 18th century. Yet the word itself did persist, just as its predecessor “civilized”. Boosted by the Age of Enlightenment’s quest for self-aggrandizing definition in the midst of imperial race, the semantic duo gained popularity among French writers, and soon, too, among other European intellectuals, English speakers included. The word civilization defined in this modern sense appears in the 1771 edition of the Jesuit Dictionnaire universel Trévoux (Universal Dictionary Trévoux). Mirabeau also claimed that “religion is the mainspring (premier ressort) of civilization”. The idea is that just as not all men are equally – if at all – “civilized”, so are religions. This religious conception of civilization, whereby animism, totemism and polytheism are at the bottom of the civilization pyramid and Christianity at the top – endured, and many intellectuals of the Enlightenment period embedded it within their broader understanding of human history. Anyone else spotted the word “terror” in there? How much have political discourses on the “Other” truly changed, I ask you? To finish, let me bring us back to France. In his work The Ruins or Meditations on the Revolutions of Empires, French philosopher Constantin François de Chassebœuf, Comte de Volney (1757-1820) sets himself in the ruins of ancient Palmyra, where he meditates on the perishable faith of past empires. Contrary to the other men mentioned so far, Volney has actually spent a substantial amount of time abroad, including a trip to Egypt and Syria before Napoléon’s Expédition d’Égypte, and the United States. He who is unhappy with the present imposes on the past has a lying perfection, which is nothing but the mask of his sorrow. He lauds the deaths by hating the living, and beats up the children with the bones of their fathers. In order to show a so-called retrograde perfection, one would need to deny the testimonies of facts and reason; and should there remain anything equivocal to the fact of the past, one would need to deny the subsisting fact of human organization; one would need to prove that he is born with an enlighten use of his senses; that he knows, without experience, how to distinguish the poison from the food; that the child is wiser than the old man; the blind more confident in his walk than the clear-sighted; that the civilized man is more unhappy than the man-eater; in a word, that there is no progressive scale of experience and instruction. Like Le Roy, Volney subscribes to the idea whereby cannibals both correspond to an earlier developmental stage of mankind, and are, therefore, the opposite of “civilized”. Like him, too, and like Ferguson and most Enlightenment thinkers, he understands human history as a rocky, cyclical, teleological process that unfolds through space in an environmentally deterministic fashion. These conversations played a crucial role in forging how the French, and eventually other European colonial powers, conceived of their relationship with the territories and peoples that were part of their growing empires. To them, as to many people today still, civilization goes hand in hand with the notion of progress. There are, in other words, more civilized places, and times, than others, and modern Europe – which has now morphed into “the West” (or WENA, aka Western Europe and North America, as one witty Tweeter suggests) – stands, oh surprise, on the highest level of the civilizational staircase. That is to say, for those who believe(d) history is a plant, civilization – agrarian, then urban and industrial – is its blossoming flower. One could easily dedicate a whole book to the study of the fluctuating nuances brought to the concept of civilization, and to the idea of being civilized, from the French Enlightenment to today. But this is not the time nor the place to do so, and I assume you get the general picture by now. The truth is, despite some good-willed attempts to make “civilization” something universal, it was never stripped of its original, Eurocentric essence. On the contrary, it was very much at the forefront of Samuel B. Huntington’s 1996 Clash of Civilizations (which Edward Said, among many others, so vehemently criticized), and the same can be said of Niall Ferguson’s 2011 Civilization: The West and the Rest. And, though we should wait and see what BBC’s Civilizations has in store for us, the very idea of reviving this series, and its (pluralized) title, is a testimony to how enduring the attachment of “the West” to certain ideas it has of itself remains. So, to paraphrase M.I.A.’s song Borders: Civilization, what’s up with that? Well, just as history is definitely not a plant, so is civilization, be it in the singular or plural, not an actual thing. It is rather, a myth, nothing but the long-lasting fruit of long-dead white men’s imagination, a vintage mirror held to the face of the world by those who used to, and still want to, hold power. A handy reading: Jean Starobinski 1983. “Le mot civilisation”, Le temps de la réflexion 1983. Paris, Gallimard, 13-22. Trévoux 1743 (Dictionnaire universel). See Starobinski 1983, 14. I agree with your precis of the tone of the word civilized throughout western writing. Can the same really be said about the word civilization though? Is it not more of a synonym for culture, or people, when used in the title of a museum or of a university course? If you study Classical Civilisation, you’re not studying how civilized the Greeks and Romans were on a developmental scale, but you’re simple studying the Greeks and the Romans. You could equally study Incan civilization or Australian Aboriginal civilization.